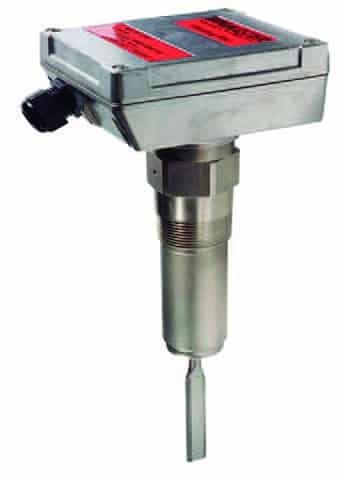 RF Level Switch is designed to provide accurate and reliable point level (High and Low Level) information of Solids (Powders and Lumps), Liquids and Slurry stored in vessels and tanks. The electronics consist of an oscillator,adetector and an output relay which is controlled by the detector. The probe contains an active section and a shield section insulated from each other and from the vessel ground. Most conventional sensors give a false indication when coated due to build up. EIP Level Sensors are designed to ignore any such build-up or coating. Remote or Integral Unit with a 2 or 3 Set points for linearly grading the tank based on set points. ESP Hoppers, Solid storage vessels, Liquid storage vessels, Chute Block Switch (CBS). The Rotaries rotate at 3RPM and stops and actuates the Relay when material is filled.Specialized De energizing motor stops when material is present. 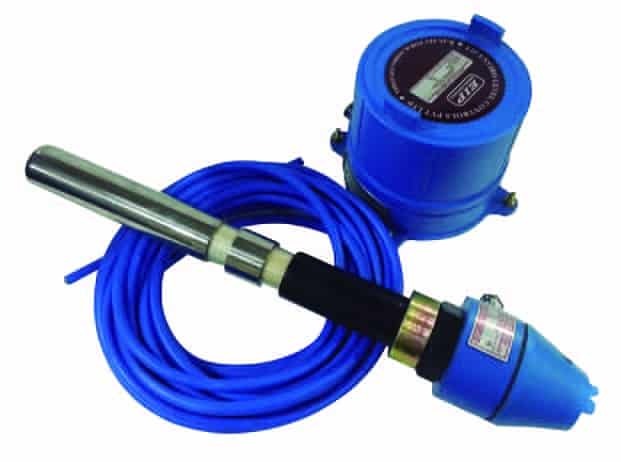 Piezoelectric driven vibration level switch detects high, mid and low levels in vessels with powders and bulk solids and suitable for wide range of applications. Also called Pressure switch and operates by sensing material pressing against the diaphragm. 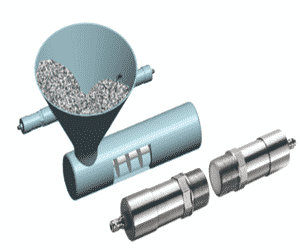 Primary application in Bucket Elevator in Cement Plants to prevent jamming of cycle due to spillage and collection at the bottom. Available up to 400 degrees C.
Suspended over a controls point with wire rope, chain or cable. After coming in contact with material the paddle tilts up to 15 degree, where in a large steel ball inside unit shifts position actuating a micro switch. High/ Low Level switch and Solid Flow/ No Flow detector on Open/ Conveyor Belt. A beam of Microwaves at 70GHz passes from a Sender to Receiver in bursts of 220times per second. If the path is blocked by any material which absorbs or reflects microwave the chain gets broken and relay is actuated. 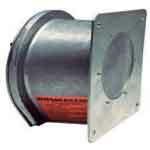 Microwave switch can be used to cross the refractory linings as well. Anti Collision/ Machinery Positioning, Nucleonic switch replacement.